It’s been a more than a month since legacy Adxstudio portals support officially ended. Many customers and partners are still using Adxstudio Portals and yet to migrate to Dynamics 365 Portals or its short-term alternatives( Microsoft Open Source Portals, xRM Portals Community Edition). Dynamics 365 Portal Capabilities is the only viable long-term option, it’s Dynamics 365 Online dependent and only available as Software as a Service solution. This is the version you want to be using. Microsoft Open Source Portals is the 8.3 version of Dynamics 365 Portals, it’s completely open sourced and released under MIT license. This is a one-time release and no future bug fixes, updates or patch will be provided. It is suited as a stepping version before upgrading to CRM Portals. I wouldn’t recommend being on this version unless you and your team has an in-depth understanding of the Portals and can self-support. xRM Portals Community Edition is the githubbed version of Microsoft Open Source Portals, it is hosted by KPMG Adoxio and supported by Adoxio and Portals community, This is the version for customers or Partners who need sometime before moving to Dynamics 365 online or are waiting for new releases/features on Dynamics 365 Portals. This is not an on-premises option for Dynamics Portals but a short-term interim self-hosted option. Adxstudio Portals, Though the support for Adxstudio Portals has ended, if you happen to have a perpetual license you may continue to use the product knowing it’s not supported. 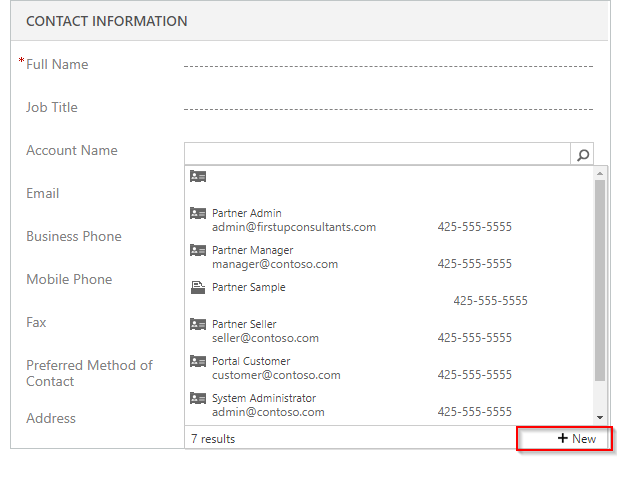 If you have used Dynamics 365 you must be familiar with the + New button on the lookup. This enables the user to create new item instead of selecting exiting one. 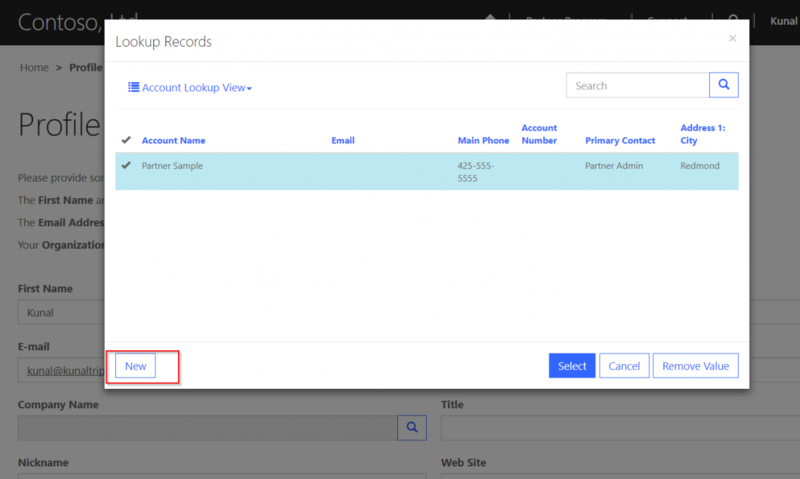 This feature has been a frequent ask for Dynamics 365 Portals. Good news is that this functionality was added by the product team few releases back the bad is that it is only partially done. In this post, I’ll walk through the steps for configuring it and its limitation.